@Ken Tamplin‌ a while back I had a Skye lesson with you where you had me singing Lady in Red brute timbre. You say d I had a small vocal tract. Is that something I can remedy or can you point me to a few singers that have a smaller vocal track for some comparative sound. I remember your face but too be candid I don't remember your voice. Can you post a sample of your singing for me to listen to so I can refresh my memory and direct you better? This is a resent song its not awesome but I am singing. @cgreen‌ I agree with you about the pitch problem. I listened to this recording only one time as I did it lastnight. I think I just figured out the right way to breath if you check my post in diaphragmatic support. I'm using new muscle. But as I was listening to this play back I did notice several pitch issues. I'll have to spend time with the keyboard and scales. I did notice though a better sound quality then before. Check out the Pitch exercises that @Kaulfers is putting himself through. You should get together with him and follow the track he is taking. You can see his pitch improving. He is learning to hear, to compare, and to learn by heart, the correct pitches, one-by-one. If you don't already have this ability, you will have to tackle it. Note-by-note. There is no substitute for proper pitch. Some say it cannot be learned. I say it can, but it's not easy and it's not fast. It's not optional to have accurate pitch. It's a requirement of singing in public. You and Kaulfers should use the buddy system and compare notes. He's going about it the right way. Don't forget about support while tackling pitch. They go hand-in-hand. The Basic Pitch Program (available to KTVA students without cost) is a MUST-DO Requirement for anyone in question about their pitch. Spend some time with those exercises, record them, and listen carefully to the playback to train your ear to hear pitch with greater accuracy and to hear the sound in your head with regard to pitch as you are singing. Don't be discouraged if this is an issue for you. Consider it your greatest opportunity. 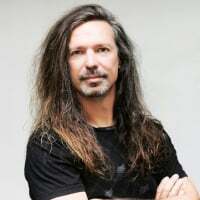 @Ken Tamplin‌ @cgreen @highmtn‌ I believe as I just went over my past Skype lesson with ken . the small vocal track was because I wasn't opening my mouth wide enough. Or even at all. Ty I'm beginning to see a lot more as I progress in my singing path. So you are allowing your Open Throat to not be so open, hence the smaller vocal tract. It is for this reason that Ken says to make your AH REALLY AH!!!! OPEN, in other words. Not ah, but AH!!!! One creates a bigger vocal tract to sing through.